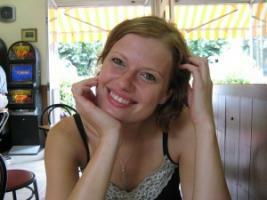 LoveMyMalta.com - News: We've found Waldo…Today it's Joanna Kudela find, flat, jobs, pratical info - your guide to malta! 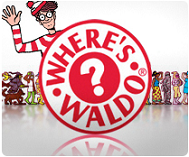 For those unfamiliar with Waldo, here’s a brief summary: Waldo is the main character of a number of children’s books invented for the sole purpose of getting found. Set in various locations, setups and situations Waldo has the interesting characteristics of being the one individual sticking out as seen on the picture. This elegant and subtle introduction to Waldo and being different is surprisingly enough the overall idea of this article. LoveMyMalta is looking for all the Waldos in Malta. Do you know of anyone or are you one of the special people here, who has a story to tell about a life extraordinary? Basically we wish to know of anyone who has done something different with their life that makes them stand out and could be inspirational for others. 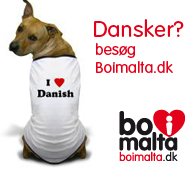 Originating from Poland, she and her husband Piotr landed in Malta in spring 2009 after having relocated via London. Contradictory to many foreigners moving to Malta, they chose not to live in popularly crowded Sliema or St. Julians, but in charming Marsaskala in the south east corner of the island to live. A bit distant to previous living terms, but very thought through decision to escape the busy urban areas to pursue the tranquil life of living with sea and countryside view. Somehow this idyllic life is also pictured in and follows the career path Joanna has chosen. The soft values seem both necessary and very exposed by the first impression when visiting her website: A compilation of her private interest and her profession though with an overall educational theme. Her private interest in doing dog agility training with her dog Imara, a Rhodesian Ridgeback, even has received some nice references from dog shows. And she might also be a very qualified one of them judging from her references. Joanna has passed numerous courses related not only to aquatics, but also to social studies, health care and pedagogical studies. In fact this should be sufficient educational papers to make one trust Joanna with children, but just in case it doesn’t she has chosen to expand her education with just as many, perhaps even more different certificates in First Aid, Epilepsi Awareness, Protection of Vulnerable Adults Course and much more. LoveMyMalta has met her and we find her absolutely lovely, although if you do have a baby it’s so much better to meet her in person and judge for yourself.